Vicky has been a member of the Watrous Curling Club for over 35 years. When the new rink was built she was on the building committee and used her many contacts to ensure that the proper funds were in place to complete the project. She has served as Chairperson for some of the Northern and Provincial Competitions held in Watrous and involved in many other curling events in some capacity as well. 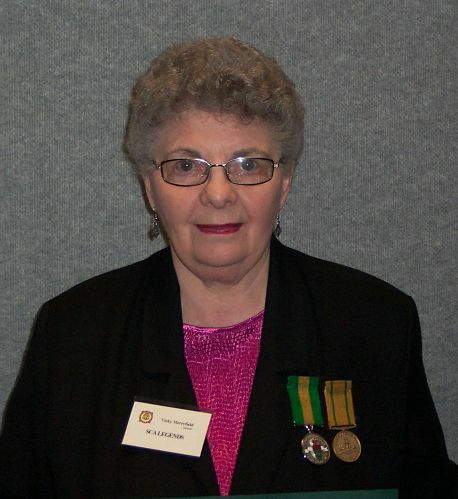 In 1976 Vicky became involved with the Saskatchewan Ladies Curling Association (SLCA) as the Region 9 Director. She served on many committees and served as President of the SLCA in 1986/87. Vicky was the SLCA representative to the Canadian Ladies Curling Association (CLCA) from 1985 to 1988. As an Executive Committee member she helped to establish the committee structures, the Intermediate and Natural Ice competitions and the SLCA Awards Program. In 1997 Vicky organized the SLCA 50th Anniversary Celebration and produced a book on the 50 years of women’s curling in Saskatchewan. When Vicky completed her time on the SLCA Board she took on the position of SLCA Historian, collecting and preserving women’s curling history, and preparing displays to take to various curling events throughout the Province. 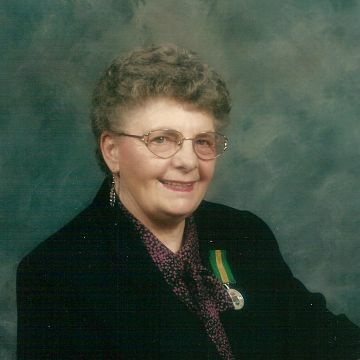 When the SLCA and the Saskatchewan Curling Association amalgamated in 1997 she accepted the roll of Historian for the new association and expanded her history of curling collections to include all competitions. The SCA Historian display continued to travel the Province and was enjoyed by many curling fans. In April 2000, Vicky turned over the job to current SCA Historian, Lynne Wilson, with considerable hands on instruction! The vast collection of Saskatchewan’s curling history in scrapbooks, photos and curling memorabilia is beautifully displayed and shouldn’t be missed as it continues to travel around the Province. Vicky continues to be involved with curling. She is the “semi-permanent” President of the SCA Past President’s Club and is currently keeping all the past presidents in line! She has also accepted to take on the task of organizing a scrapbook of all the Legends photos we have accumulated over the last four years!